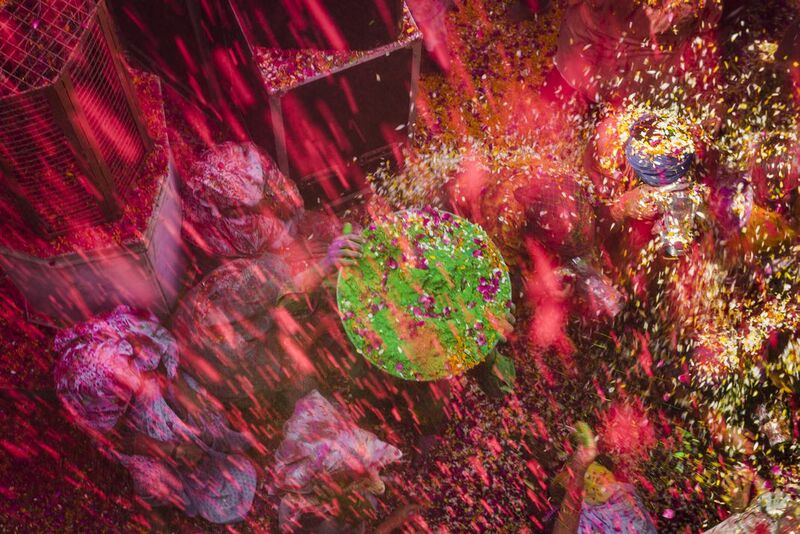 An aerial view of Widows Holi being celebrated in Vrindavan, India as millions of coloful flower petals are thrown into the air, intermingled with the strong colours of the gulal powder being flung about. Widows are treated as outcasts in most parts of India and are not allowed to participate in Holi so it was so special to watch them having a wonderful time celebrating Holi in this temple in Vrindavan, which is probably the main place Widows Holi is celebrated in India. Date Uploaded: Nov. 30, 2017, 5:14 a.m.